Eva R. Kimonis, Ph.D., is an Associate Professor in the School of Psychology at the University of New South Wales in Sydney, Australia. She received her Master of Science and Doctor of Philosophy degrees in Applied Developmental Psychology from the University of New Orleans, with specializations in developmental psychopathology and forensic psychology. Her postgraduate research focused on emotional deficits in community and incarcerated youth with psychopathic traits. 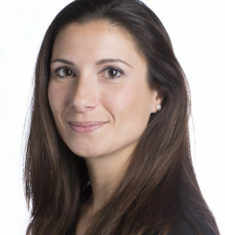 Following her postgraduate studies, Dr. Kimonis was awarded a Postdoctoral Institutional Research Service Award from the National Institute of Mental Health (NIMH) to complete her postdoctoral fellowship training at the University of California, Irvine, with a focus on legal and policy issues. She also completed clinical-forensic postdoctoral residences with the Institute for Behavioral Sciences and the Law in Fort Lauderdale, Florida, and the University of South Florida’s Department of Pediatrics, Division of Child Development. She holds a courtesy appointment in the Department of Mental Health Law and Policy at the University of South Florida’s Louis de la Parte Florida Mental Health Institute in Tampa, Florida, where she was awarded the Outstanding Faculty Award in 2013. She is also the proud recipient of the Fulbright Scholar Grant from the J. William Fulbright Foreign Scholarship Board to improve the identification of Cypriot youth at risk for severe behavior problems to implement evidence-based interventions. Dr. Kimonis’ program of research focuses on the development, assessment, and treatment of psychopathic traits and aggressive behavior in youth. She has special interest in risk factors of childhood maltreatment and deficits in emotional processing. Her research has been published in top peer-reviewed journals in the fields of clinical, developmental, and forensic psychology, including Development and Psychopathology, the Journal of Consulting and Clinical Psychology, Psychological Assessment, Law and Human Behavior, and Behavioral Sciences and the Law. She has authored several book chapters on childhood disruptive behaviour disorders and juvenile psychopathy. She is also the Section Editor for the Legal and Ethical Issues section of Cautin and Lilienfeld’s forthcoming Encyclopedia of Clinical Psychology published by Wiley-Blackwell. Dr. Kimonis has been involved in a large number of forensic cases in the United States at both the Federal and State Court level as part of an evaluation and consultation team. She has experience with forensic evaluations and forensic consultation related to substance abuse, risk assessment, malingering, competency, sanity, domestic violence, child witnesses, and penalty phase evaluations. In addition to her forensic experience, Dr. Kimonis has clinical experience working in forensic settings, including youth correctional centers in Louisiana and California, and Juvenile Court in New Orleans, Louisiana, US. She is also an experienced provider of parent management training interventions, and specifically Parent-Child Interaction Therapy (PCIT) for young children with disruptive behaviours. She has developed a version of PCIT for children with conduct problems and callous-unemotional traits (i.e., lack of empathy/guilt, uncaring attitudes, callousness), who are at risk for severe, stable, and aggressive antisocial behaviour across development.